Republican Joni Ernst has introduced her first bill in the U.S. Senate — the “Prioritizing Veterans’ Access to Mental Health Care Act.” The bill would make hiring more psychiatrists a higher priority for the Veterans Administration, plus Ernst proposes expanding coverage so veterans could seek mental health care elsewhere if they’d have a lengthy wait at a VA facility. 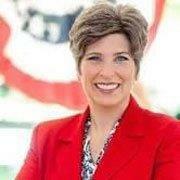 Ernst made her comments during a speech late this afternoon on the Senate floor. She spoke for more than 10 minutes, mentioning her own military service and the calls she’s gotten from veterans who are suicidal, but cannot get timely help from the VA.
“We have to do better,” Ernst said. A veteran seeking mental health services from the VA has to wait an average of 36 days before they get an appointment and Ernst suggested that’s one reason why the suicide rate among veterans is so high. “We hear this number from time to do, but think about it: 22 veterans suicides per days,” Ernst said. Under current practice, veterans are not allowed coverage for mental health services if a V-A facility is within 40 miles of where they live — regardless of the wait time for an appointment at that facility.